10 days ago, we reported that “Sichem osprey”, the Maltese chemical tanker ran aground Clipperton Island on it’s way from the Panama Canal to South Korea. 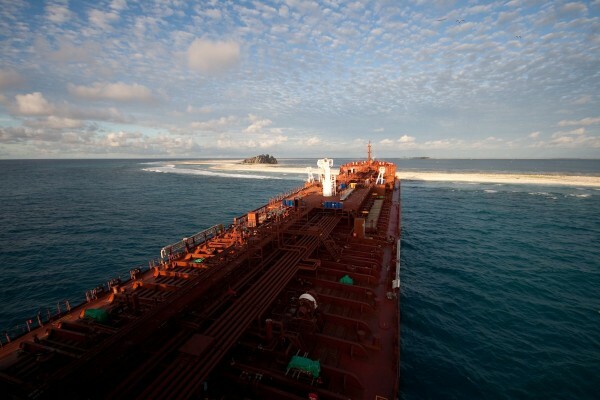 The 170 meter tanker was carrying over 10,000 of Xylene when it ran ashore the small island. French judicial authorities have opened preliminary investigation as to what caused the 2009-built tanker to veer off course. No spills have been reported, but the authorities have been unable to move the vessel. Slavors are planning to unload some of the tanker’s cargo, in order to lighten it’s load. 6,000 tonnes of soybean oil is being unloaded in the hopes of freeing the ship. March 15th, is the deadline given to Eitzen by French Polynesian authorities, to put an end to this potential threat. Several tug boats have been around the scene since Feb 14th, but to date, the vessel has only been moved 15 meters. We’ll keep you updated on this matter as new developments are reported.